Frustrated with the pace of toxic cleanup efforts surrounding a shuttered battery recycling plant in Vernon, state and local politicians are pressing for swifter action from the Brown administration. “This has gone on too long,” Los Angeles County Supervisor Hilda Solis said Tuesday during a news conference at the Capitol; she pledged to go after Exide Technologies, which operated the plant for decades. The state’s Department of Toxic Substances Control is overseeing theÂ cleanup of lead-contaminated soil, but incoming Assembly Speaker Anthony Rendon (D-Lakewood) said the department “has not done a good job” and promised he’d push officials to act moreÂ urgently. Assemblyman Jimmy Gomez (D-Echo Park) said all legislators should be disheartened by the slow progress in cleaning up affected neighborhoods where most residents are Latino and low-income — particularly as efforts to address theÂ natural gas leakÂ near the wealthier community of Porter Ranch have mobilized relatively quickly. “We don’t want to send the wrong message. That if you live … in Porter Ranch that you’re more important than the folks that live in East … or Southeast Los Angeles,” Gomez said. Solis said she’d like to see more state money put toward cleanup, but did not specify how much at the news conference. A poster at the news conference laid out a $70-million proposal for next year’s budget that would be used to assess the contamination and clean up the most affected homes. But, Solis said, that figure was meant to “begin the discussion.” She emphasized that Exide must be held accountable for the costs of the pollution. 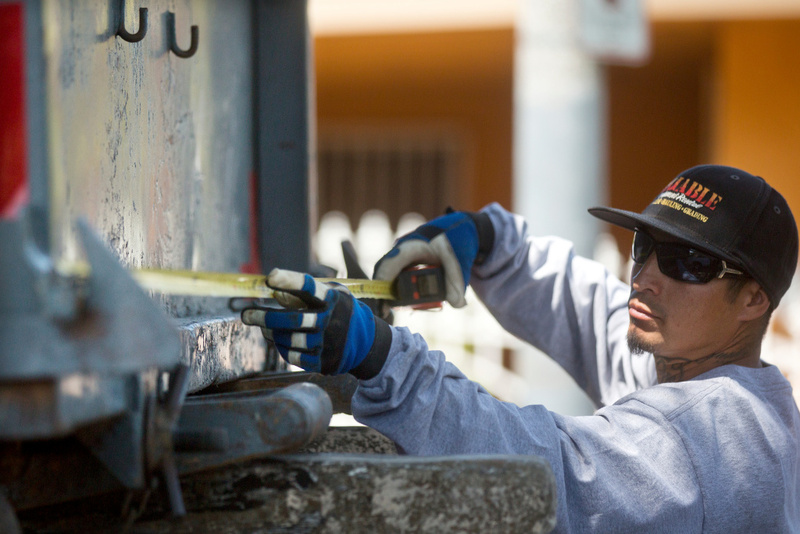 CaliforniaÂ has received around $9 million from Exide for residential cleanup. Last year, the state also dedicated about $7 million to test and clean up homes, and the Los Angeles County Board of Supervisors agreed to spend $2 million toÂ accelerate those efforts. The closure of the Exide facility was the focus of an informational hearing at the Capitol on Tuesday, where Assemblywoman Cristina Garcia (D-Bell Gardens) pressed for $70 million in state funding for the cleanup. “It feels like the state is just throwing pennies at brown people to keep us quiet,” said Garcia, who called for declaration of a state of emergency. Solis also chimed in with a call for $70 million at the afternoon hearing. Administration officials sought to assuage concerns that they were not working with enough urgency. FollowÂ @melmasonÂ for more on California government and politics. State lawmakers and Southern California officials Tuesday said the cleanup of an expanded area around the old Exide plant in Vernon is moving too slowly. TheÂ Department of Toxic Substances ControlÂ determined last August that a much larger areaÂ than originally identified – in a 1.7 mile radius around the former battery recycler – needed to be tested for lead contamination. But an agency spokesman told KPCC that so far crews have only tested 283 properties and cleaned five residences in the expanded zone, which includes some 10,000 homes in East Los Angeles, Boyle Heights, Maywood and Commerce. In testimony before theÂ State Assembly Committee on Environmental Safety and Toxic Materials, Toxic Substances Control Director Barbara Lee saidÂ the cleanup is underway “years earlier than is otherwise required” by the court overseeing Exideâ€™s bankruptcy. She noted that the court gave Exide until 2018 to begin setting aside funds for cleanup work. When committee member Cristina Garcia (D-Bell Gardens) questioned the pace of the work, Lee responded by pointing out that herÂ agency only has enough funds to test 15 percent of the expanded areaâ€™s properties and clean 50 of the most contaminated homes by the end of June. Toxic Substances Control has $8.5 million to spend on testing and cleanup through the end of June 2017. Lee said her agency will need more money than that to complete the work. Los Angeles County Supervisor Hilda SolisÂ attended the hearing, and argued that the state’s response to possible lead contamination in the mostly low-income and Latino communities around Exide has been woeful, especially in comparison with how officials have rushed to aid residents affected by the natural gas leak in the wealthier community of Porter Ranch. Solis called on lawmakers to allocate an additional $70 million for the budget year that begins in July. She said that would cover testing of every home in the expanded area in one year and immediate cleanup of those that need it. In the original assessment area, which included homes closer to the plant in Maywood and Boyle Heights, the state tested 195 properties and cleaned up 186. Activists say the work in that area is stillÂ incomplete because not all of the interiors of the homesÂ have been professionally cleaned and public areas,Â such as parkways, are still untested. This story was updated on Jan. 27, 2016 to include additional details and clarify that Barbara Lee did not say that the cleanup is moving too slowly.